The Association Schachfestival Basel is organizing the Hilton Basel Chess Festival on 1-5th January, 2013, to mark the 15th edition in Basel, Switzerland. The Festival will consist of the main Master tournament and Amateur tournament. In addition, a Rapid tournament will take place on 6th January, a Blitz tournament will be held on 3rd January, and Youth Rapid event on 6th January. Master and Amateur events will be played over 7 rounds of Swiss pairings. The time control will be 100 min for 40 moves + 30 min to finish + 30 sec increment from the first move. ELO U2300, U2100, Woman, Senior: CHF 200. 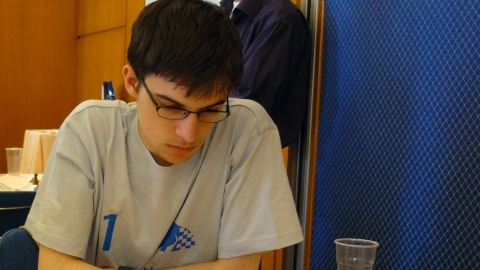 Currently top rated players are GM Maxime Vachier-Lagrave, GM Romain Edouard, GM Boris Grachev, GM Mateusz Bartel, GM Hrant Melkumyan, GM Yaroslav Zherebukh, GM Andrei Istratescu, GM Vajda Levente, GM Yannick Pelletier, GM Maxim Turov, GM Merab Gagunashvili, GM Alexandr Fier and GM-elect Eric Hansen. Rapid tournament is dedicated to the 150th anniversary of the Basel Chess Society. The tournament will be played over 9 rounds of Swiss pairings with time control of 20 minutes per player. Top prizes are: CHF 1000.-, 700, 500, 300, 200, 200, 150, 150, 100, 100. In addition there will be special ELO, Women and Senior prizes.